Use "Indoor soccer near X" where X is your town. That will give you the result you need when you're looking for indoor soccer in your own area. The soccer-for-kids.com website is intended for parents looking for information about soccer programs in southern New Jersey for young children. Click here to learn more about the leading youth soccer organization in Gloucester County. Soccer Shots is the premier intro to soccer program with both indoor and outdoor classes in Gloucester County in southern New Jersey. Soccer Shots uses professionally trained coaches that specialize in soccer for kids, ages 21/2 through 5 for indoor soccer and ages 2-6 four outdoor soccer. We concentrate all of efforts in being the best experience for kids playing youth soccer at this tender and unique age. Coaching Toddlers and preschool aged children requires a very specific set of skills and uniquely designed curriculum to have the best positive impact. It's not the level of technical soccer skills that the youth soccer coach has personally achieved. It's not whether the coach has earned a certain level of coaching certificate from the state of New Jersey and it's not about the win-loss record of the team your child's soccer coach plays on that matters most. 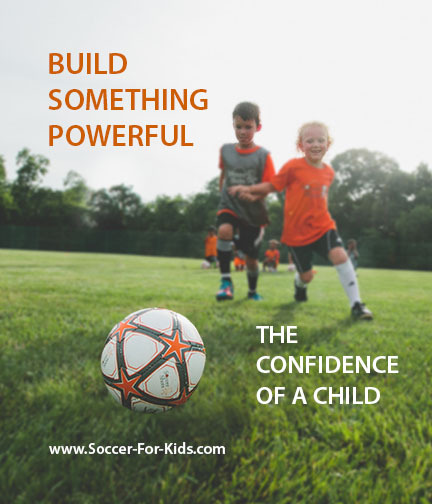 When it comes to coaching soccer to the very youngest of players, it's the passion for working with young children and the system of learning that's used that matters the most. A coach with enthusiasm, high energy, with some silliness mixed, in will give your child a fun experience that will foster a love for the game of soccer and a willingness to participate in it again. You can find out more about the indoor soccer sessions in Pitman here and you can find out more about Soccer Shots of South Jersey here at the nationwide website for Soccer Shots. If you're an adult and you want to play indoor soccer, Gaetano's, very close to Malaga, NJ is an option. Gaetano Indoor Soccer, Inc. was established in 1986 by Frank Gaetano, Sr. Youth soccer was just hitting the Delaware Valley (PA, NJ, DE) in the early 80's and Frank saw an opportunity to be the first indoor soccer facility in southern New Jersey. The author of this post played at indoor soccer facilities in Hurffville and in Mickleton, NJ in the late 90's, but both of these facilities have closed down. The Gaetano family shares their love of the game of soccer and has turned it into a long-lasting respected business. The Gaetano company website says that it's indoor soccer facility offers soccer programs for kids and adults, but at the time of this article post there was no indoor youth soccer league posted. There are Youth Soccer Leagues at Total Turf in Pitman NJ. These are competitive soccer leagues for parents who want their kids to learn how to be aggressive on the soccer field at an early age. If you invest the time and energy, you can form a team for your child to play on or just have your child someone else's team. Soccer Field Rentals. Renting a soccer field can be expensive. You can rent the soccer fields at this facility for $420/session during the peak season of November 15 to March 20 and for $340 during the non-peak season. You can rent the fields for corporate events, team parties before or after your season, fund raising functions, or even run your own tournament. Wherever you have your child participate in indoor soccer near you, make sure the coaches are properly skilled and trained for coaching your child's age group.